Silver Health CARE has provided the highest quality medical care to southwestern New Mexico since 1975 and is generally recognized as one of the premier providers of healthcare in the area. Silver Health CARE's story is one of expansion and growth. Originally founded by Dr. John O. Bell and Dr. Samuel D. Dye in 1975, they were soon joined by Dr. James R. Skee in 1981. 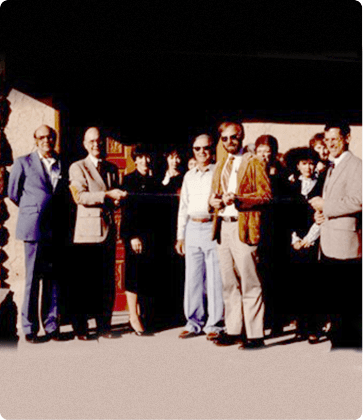 The practice moved into its current location on E. 32nd Street in December 1985. The Silver City clinic has been remodeled several times since then to accommodate the growing practice. A clinic was established in Deming in 1996, which moved to a newly constructed building at 1511 S. Lime in 2006. In the same year, the Family Clinic became a division of Silver Health CARE and moved to its current location on Highway 180 E. in 2009. The Bayard Clinic was established in 2012. Silver Health CARE has plans to extend medical services to other communities. Silver Health CARE's history is not just about bricks and mortar, it is primarily about people – both our staff and our patients. Silver Health CARE has responded to the needs of the community by expanding the medical services that are available to residents locally. The practice is currently a multispecialty group, offering a broad range of quality medical services. Among our outstanding providers are primary care physicians (including internists, pediatricians, and family practitioners), a podiatrist, psychiatrists, nurse practitioners, and physician assistants.